Nathan Sheehy is the newest Music Producer/Audio Engineer to join A Sharp. Nathan has had quite a bit of success already with several Triple J top 100 songs to his name. We’d like to introduce him to you so we caught up with Nathan in the studio and asked him to tell us a little more about his work ethic and techniques that have made him a name in the industry already. Interview with the legendary music producer Steve James! Steve James joined A Sharp Recording Studio in Sydney some months ago and has worked on a number of fantastic projects at A Sharp including recording new material for Metal As Anything, Gail Page and 5 Way Addiction. We thought that we would sit this Iconic Grammy Nominee and Aria Producer and Engineer of the year down for 2 minutes and ask the Beautiful August to ask him a couple of questions about his career to date and his next plans. Martin Cilia is no stranger to A Sharp. Best know as Australia’s best Surf Rock Guitarist and member of legendary Surf Band, The Atlantics. Martin’s been in the studio several times already this year, both for Mental As Anything, and for his own material having recorded drums at A Sharp for his latest album Electric Christmas. 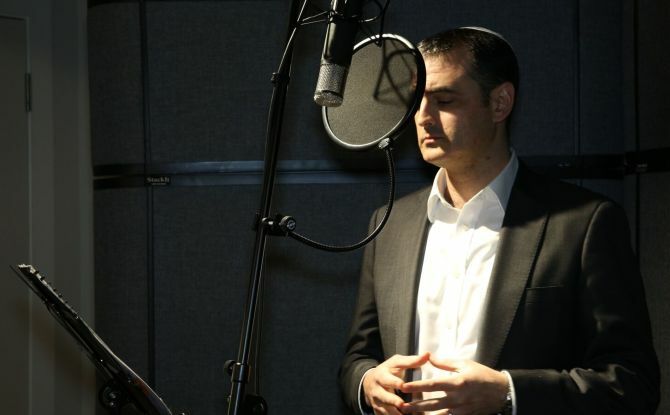 Zvi Teichtahl, Cantor of The North Shore Synagogue contacted A Sharp Recording studios earlier this year in order to record a commemorative CD of music. The idea was for the CD to accompany a book celebrating the 75-year anniversary of the founding of the Synagogue and its community. 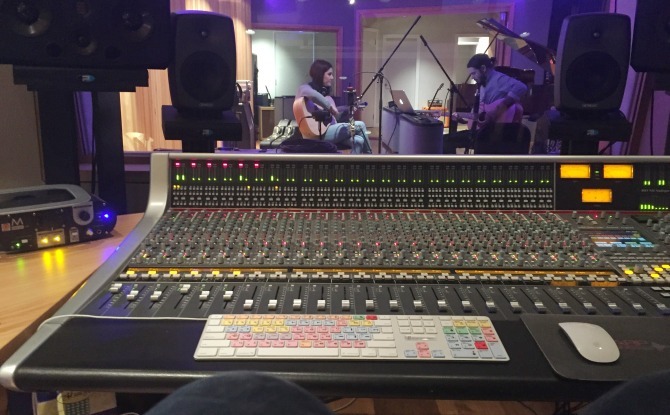 Recently, Producer Engineer, Jye Hannan booked out A Sharp Recording Studio to record a great due called Lennox Lust. After the session we caught up with the band and asked a couple of questions. Describe Lennox Lust in a tweet? – Quirky, happy and in love. Why did you decide to have Jye engineer this project? – We came across Jyes skills at university where we were assembled together to create radio advertisements for the UNI. We were searching for an engineer at the time for a while and found we really liked the way he worked. He seemed highly capable but most importantly he seemed to respect what we wanted and didn’t try to influence us in an unnatural direction.